The Emancipation Stakes is a Group 2 race for fillies and mares aged three-years-old and above held at Rosehill Gardens Racecourse on a Saturday in late March each Sydney Autumn Racing Carnival. The set weights plus penalties event runs over 1500m and is a key support act on the Tancred Stakes Day card, which is one of the big race days of the season hosting two Group 1 showdowns. Offering $200,000 in total prize money, the Emancipation Stakes is often used as a lead-up to the Group 1 Queen Of The Turf Stakes (1600m) at Randwick a fortnight later. In recent years Amanpour (2nd in 2015) and Diamond Drille (4th in 2014) came off good Emancipation Stakes runs to win the Queen Of The Turf Stakes during ‘The Championships’. The latest edition of the Emancipation Stakes takes place on Saturday March 30, 2019. The official Emancipation Stakes Results 2019 and race finishing order will be know – and available below – when the race is run and won on Saturday March 30, 2019. Early Emancipation Stakes odds are out at bookmakers after nominations are taken the Monday of race week and firm after the final field is announced two days later. Mares with good lead-up form in earlier races of similar class for female gallopers over the autumn in Sydney usually dominate Emancipation Stakes betting including those that ran well in the Group 2 Guy Walter Stakes (1400m) in February and the Group 1 Coolmore Classic (1500m) a fortnight before. The Emancipation Stakes 2019 betting odds will be available below the week of the race giving you access to the best autumn racing odds ahead of the Group 2 on Tancred Stakes Day at Rosehill. Chris Waller prepared dual Emancipation Stakes winner Catkins (2014-15). Photo Credit: Steve Hart. The Emancipation Stakes field attracts a class line-up of in-form fillies and mares coming off earlier Sydney runs over the autumn. Many back-up out of a tougher assignment at the track in the previous month’s Group 1 Coolmore Classic (1500m). In 2014 the Emancipation Stakes winner Catkins, who also won the 2015 edition 12 months later, came off a third in the Coolmore Classic. More recently in 2017 the Emancipation Stakes winner Zanbagh improved on a lead-up fifth in the Coolmore Classic to salute, while in 2018 Prompt Response atoned for a luckless fifth in the Coolmore Classic to win the Emancipation Stakes. Emancipation Stakes nominations close the Monday before the race runs on the Saturday with the final field and barrier draw released on the Wednesday. The official Emancipation Stakes 2019 Field & Barriers will be released by Racing NSW the Wednesday before the race and published in full below so stay tuned to see who is in and out of the Tancred Stakes Day event. The early Emancipation Stakes 2019 Nominations close the Monday of race week and will be listed in full below once released. Emancipation Stakes tips include looking for proven Group-class mares with good records over a similar distance with form in Sydney against similar company. The Coolmore Classic over the same track and distance earlier in the month has been a good Emancipation Stakes guide in recent years, and two mares have gone back-to-back in the race in the past decade with dual winners Skyerush (2012-13) and Catkins (2014-15). Our Ladbrokes’ insider Emancipation Stakes 2019 betting tips and race selections will be detailed below the week of the race so stay tuned for the female gallopers to back and sack in the Queen Of The Turf Stakes lead-up race. The Emancipation Stakes form guide details must know facts for punters including the trainers, jockeys, barriers and lead-up form of all the runners in the race. Looking at the form on mares coming out of a lead-up like the Coolmore Classic and checking the records of the Emancipation Stakes hopefuls at the track / distance is important and can help make a successful wager on the event. A link to our comprehensive Emancipation Stakes 2019 Form Guide will be provided for punters below the week of the race. 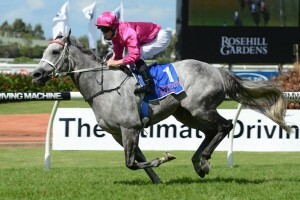 The Emancipation Stakes results have been dominated by classy mares in recent years, a number of which went on to run well in Randwick’s Group 1 Queen Of The Turf Stakes (1600m) over the mile. Notable recent Emancipation Stakes winners include Catkins (2014-15), Sykerush (2012-13), Sacred Choice (2010) and Hot Danish (2007).